No one likes change, so we are offering our customers the choice of both our old website or our E-commerce site. The original site, now in its eighteenth year. It is used by customers who visit the shop or prefer to place orders by post or telephone. Still regularly updated it is full of in-depth product descriptions, technical specifications, images, line drawings and PDF downloads. Our E-commerce site has product description and images. It has a fully integrated shopping basket, secure payment centre, a comprehensive search engine and is mobile friendly. 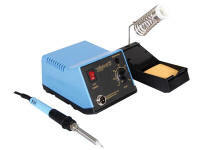 Velleman VTSSC50N Temperature controlled 48W soldering station has adjustable temperature range from 150 - 450ºC. 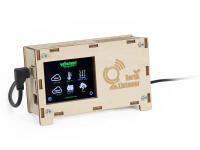 Earth Listener is an Arduino based device that reads multiple environmental values to indicate air quality. You are welcome to visit our premises. Order online or by telephone and then collect directly from our shop.